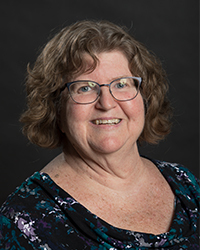 Since 2015, Dr. Bev Zabler has been funded by the U.S. Health Resources and Services Administration for a grant entitled, “Nurse Education Practice, Quality, and Retention – Interprofessional Collaborative Practice (IPCP) Interprofessional Education (IPE)” (HRSA UD7HP28542, for $1,337,115). This grant supported a project, Teaching Today’s Students for Tomorrow’s America (TTSTA), through the UWM College of Nursing Institute for Urban Health Partnerships (IUHP) in partnership with Ascension Columbia St. Mary’s Milwaukee Family Health Center (CSM FHC) and, initially, the Pan African Community Center (PACA). These partners came together two years before to support the health needs of the growing refugee community on the Northwest side of Milwaukee. The UWM Community Nursing Centers had been active in refugee health initiatives in the past and were recognized for their culturally relevant, community-based care. The CSM FHC provided refugee arrival screenings and had expanded that service to include wellness exams. The refugees were greeted upon their arrival to Milwaukee by PACA community health workers and supported through their resettlement process. The partners and members of the refugee community designed the project proposal. 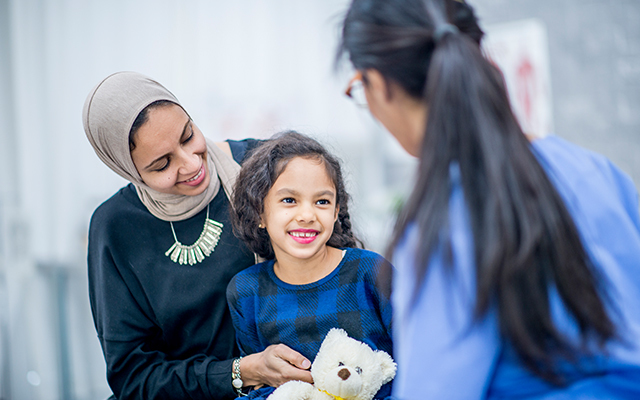 TTSTA offers an innovative, interprofessional, and culturally responsive approach to improving access to and quality of primary care for Milwaukee immigrants and refugee populations while educating health providers and students for collaborative practice environments. The vision for the project is to provide health equity for Milwaukee immigrants and refugees that transcends social determinants of health. Health equity can be accomplished when health providers and students work and learn together to improve health outcomes. The initial goal of the project was to develop and test an IPCP Community-Centered Health Home (CCHH) (Cantor et al., 2011) model of care for refugees across systems and settings. The clinical providers on the team included Community Health Workers, Nurse Practitioners, a Master of Social Work Health Manager, Nurse Case Managers, a Physician and multiple students from related disciplines. This model asserts that a person is only as healthy as the community in which they live. Another goal of the project was to implement a model of interprofessional education (IPE) that prepares future health care professionals to meet the health needs of diverse populations. In addition to improving access to and quality of primary care for local immigrant and refugee populations, this initiative provided an IPCP environment that fostered interprofessional clinical learning for health professionals and students across disciplines. 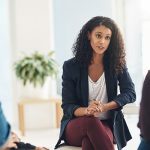 This was accomplished through staff development initiatives such as weekly email communications and the development of two online learning modules. The modules completed and tested with staff and students in the project and other locations serving vulnerable populations were: Refugee Culture and Health and Interprofessional Collaborative Practice Competencies. Both modules yielded positive results for participants. The TTSTA website offers health providers, students and refugees many resources including a toolkit for implementing a refugee community-centered health home, health information handouts (translated into several languages), and online clinical learning modules for health providers and students. To learn more about the project and resources available, please visit https://uwm.edu/nursing/community/refugee-resources/.